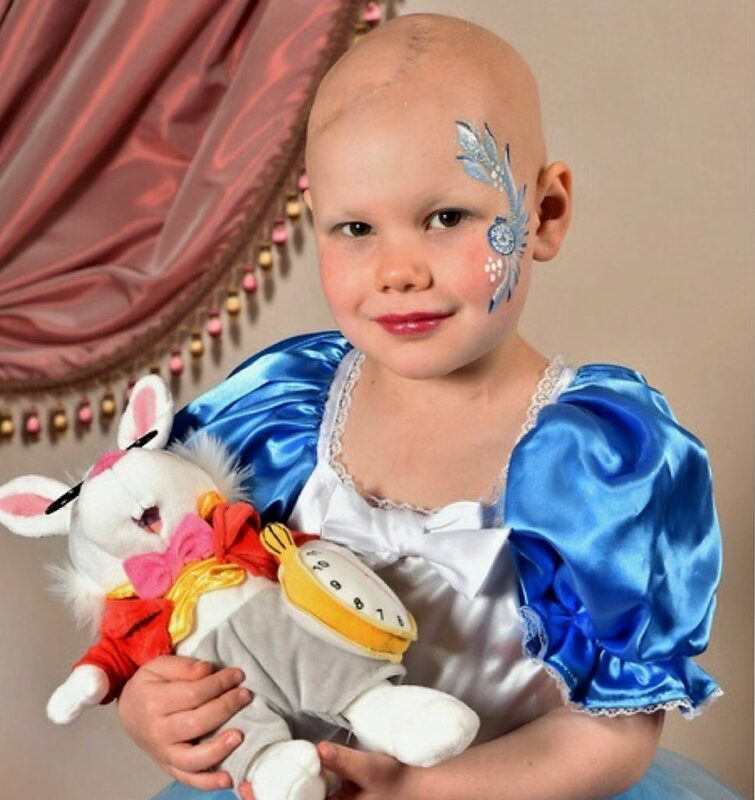 Gracie’s mum, Katie, shares Gracie’s story with us to highlight the vital need for more childhood cancer research, particularly for very rare types of cancer. “In January 2014, Gracie was diagnosed with a very rare and very aggressive brain tumour called Atypical Teratoid Rhabdoid Tumour (AT/RT). She was just two and a half years old. AT/RT only affects about five or six children a year in the UK and outcomes are very poor. 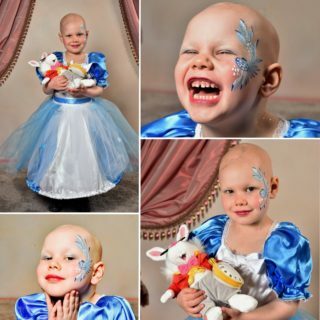 Gracie had surgery to remove the tumour, which was a success, and she then began intensive chemotherapy. She spent most of the next six months on Ward 84, the children’s oncology ward at The Royal Manchester Children’s Hospital, bravely going through her treatment alongside lots of other amazing children and families. During this time she also had six weeks of radiotherapy at The Christie hospital. “Life for Gracie was chemo, general anaesthetics, tests, thumb pricks, and blood transfusions. Yet she carried on being the bright, funny, cheeky, cat-obsessed little girl everyone knows and loves. “On 3rd July 2014, she rang the end of treatment bell signalling what everyone hoped was the end of this horrific time. She was cancer-free and it was time to look to the future. Gracie carried on having routine MRI scans every three months, and she got amazing news after each one that she was still clear. She went from strength to strength and was doing unbelievably well, even starting school in September 2015. “Then in October 2015, just 15 months after finishing her treatment, the regular scan revealed that the cancer was back. It was utterly devastating news. She had three new tumours and surgery and a cure were no longer an option. From then on it became about keeping the tumours at bay and her as symptom-free as possible. Because ATRT is so rare, there is no standard relapse treatment protocol so options for her were very limited.